Neck and back pain can make it difficult to go about your typical day. Many people store tension and stress in their muscles from sitting and working for long periods of time. Some suffer from sciatica, which creates pressure along the sciatic nerve from the lower back to the legs and upper body. Relieving this tension and pain in the back is important to get rid of energetic blockages and improve your productivity, sleep, and overall health. The wooden pillow is not just a simple, carved piece of wood. It is a lightweight, portable tool that can help you release tension from places in the body that most commonly hold stress—such as the neck, shoulders, and back. This carefully designed self-massage and self-healing tool is quick and easy to use, and its health benefits are numerous. This deeply experiential live class will discuss in detail how to use the wooden pillow for sciatica and back pain relief and how to become more proactive in your own healing and health maintenance. We recommend having a wooden pillow for this class to get the maximum benefits. 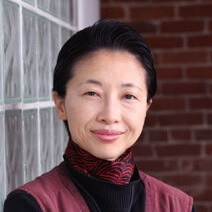 Chun Shim is the author and retreat trainer in Sedona and the manager of Tao Healing Center in Chandler, Arizona. She has been a Master Healer and Holistic Life Consultant for individuals and groups for over two decades. Facilitating various workshops and retreats such as Finding True Self, Begin Again, Manifesting Abundance, and Stress To Strength, Chun Shim helps people experience how to connect and heal the physical body, the energy body, and the spiritual body and become their best and most beautiful version. Working with her healer students, she is also helping children and local teens in Arizona manage their stress and memories to find their best potential for a better life and society.